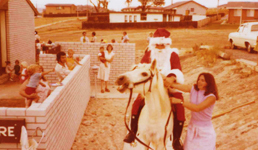 Communities@Work, like the suburbs of Tuggeranong, emerged from the drawing boards in the 1970s with young families moving into the valley. A need for childcare, after school care and other related services emerged almost immediately. 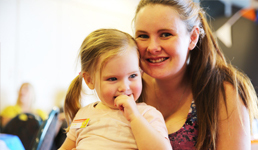 Tuggeranong Family Action formed to meet the child care needs of the Tuggeranong Valley. 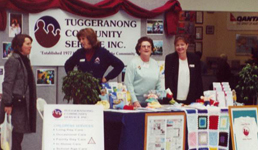 Tuggeranong Community Service also formed to provide community services for the elderly, transport for the disadvantaged, referrals and advocacy. 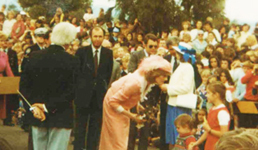 Tuggeranong Community Centre opened on the shores of Lake Tuggeranong as a dedicated base for the Tuggeranong Community Service. Tuggeranong Community Service changed its name to Communities@Work Incorporated and merged with Weston Creek Community Service. 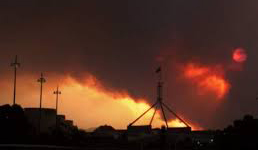 Communities@Work plays a leading role in the government-appointed Bushfire Recovery Taskforce and continues to solidify its children services leadership position. 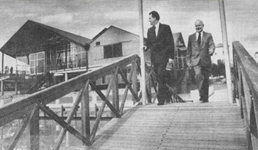 Corporate governance and operational views resulted in Communities@Work becoming a not-for-profit company limited by guarantee. 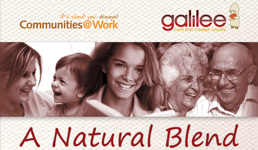 Communities@Work amalgamates with Galilee Inc and improves integration and service efficiency. 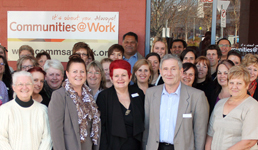 Communities@Work merges with Gungahlin Regional Community Service, broadening its reach across the ACT. 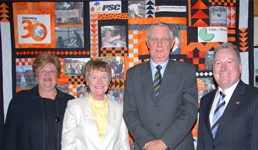 Communities@Work is one of the largest community service organisations in the ACT, employing over 700 people, harnessing the passionate commitment of over 300 volunteers and providing services to more than 20,000 clients annually.